Everything you need to know about ranks and competitive matchmaking. 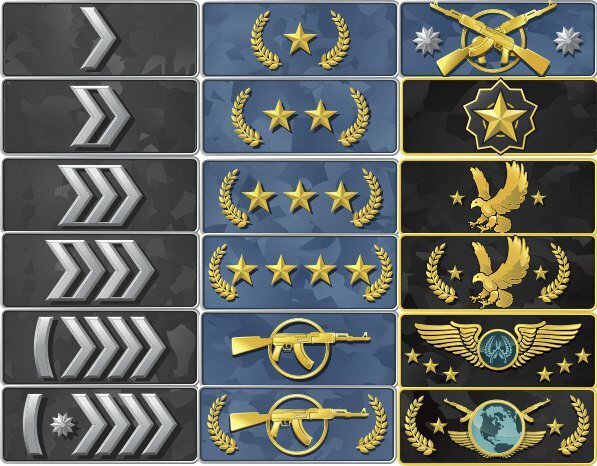 Our CS:GO - How to rank up in competitive matchmaking guide contains everything you need to know about ranking up in the competitive playlist, and details all the factors that will affect your ranking. If you've racked up hundreds of hours in competitive CS:GO attempting to rank up, chances are you'll have realised that it's not easy to climb the ladder. There's a lot to think about and consider, even if you're a seasoned FPS veteran. Below we've put together a number of factors to think about if you're chasing the competitive grind, as well as few tips and tricks to help you on your way to the next skill group. Think we've missed something out? If you're a high ranked player, or someone who's recently found a way to climb several skill groups, we'd love to hear how you did it. Just let us know in the comments below and we may just feature it in this article! To obtain your first competitive rank in CS:GO, you'll need to earn enough EXP from casual matches to reach Private Rank 2. Once you've reached this milestone, you'll gain access to Ranked or Competitive matchmaking. Jump into competitive and you'll have to win ten games before you'll be given your rank. There's a limit on the number of games you can win each day, with the cap being set to two wins only. It's a little annoying, but power through and the restriction will be lifted once you've got your rank. 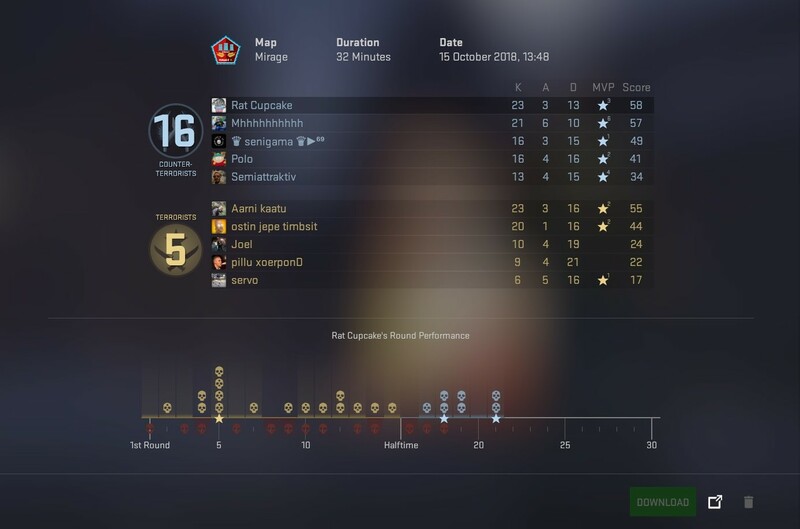 While it's true that your matchmaking rank doesn't necessarily represent how good or bad you are at CS:GO, it does help to display your overall expertise with the game. See the ranking system as less indicative of skill, and more to do with experience. Being placed in Silver after your placement games doesn't necessarily make you a bad player, it may just be you need some more time with the game to understand its intricacies. If you’ve been in the silver ranks for over twenty games, it's worth taking yourself away from the game and actively aiming to improve through other means. Master Guardian 1 is where the majority of players will understand how to play CS:GO, but they may be let down by their aim and team strategy. By the time players have reached Legendary Eagle Master, they will almost certainly be playing in a group with members that they know and trust to execute specific gameplans. Global Elite is the highest rank you can achieve in CS:GO, as you might expect, these are a collection of the best players in the entire game. In the past, Valve has confirmed that CS:GO bases its matchmaking on the Glicko-2 ranking system, employing additional factors and modifications to adapt it to 5v5 scenarios. You will have likely heard others refer to ‘Elo’ in CS:GO, which is commonly-used in Chess. To cut a very long story short: you need to win consecutive games in order to guarantee a rank up. Finishing games with the highest score on your team is great, but if you aren’t winning the game as a team then your rank will never progress. On average we’ve found that if you can maintain a win streak of at least four or five, you are on your way to a rank up, though this isn’t always the case as there are other factors to be considered. You can technically be ‘boosted’ by your team, meaning that while you may have very little impact in the game, the other four members will work to win every round, in order to secure the game. This method does work, but you can rank up faster by winning MVP awards and by keeping your kill/death (K/D) ratio above 1.0. This video by WarOwl also goes into the CS:GO Ranking system and is very helpful! Do make sure you give it a watch and consider subscribing to his channel for more quality CS:GO videos. Despite being a completely separate mode from normal Competitive matches, Wingman works on a very similar ranking system, placing players in one of the skill groups listed above. That said, you may find that your Wingman rank is higher than your Competitive rank. This is due to a number of factors, but it's likely the fact that this mode isn’t as popular as Competitive mode, meaning that less players participate. For the same reason, it's highly likely that you’ll bump into unevenly balanced teams more often, as there are less players in the pool for your duo to match up with. With regards to ranking up, our recommendations are the same as those mentioned in the Competitive section; K/D is not the overriding factor here, so you’ll need to win games and score MVPs to see results. Trust Factor is a system which ensures that you’re paired with other players that are similar to you. So, if you’re a positive player who wants to take matches seriously and avoids being toxic, you should, in theory, be paired with others who have a similar mindset. Of course, there are flaws in the system, but it is something that Valve claims they are constantly adjusting in order to improve it. While most players will have heard of Trust Factor, many are unsure of what it is exactly. This is because Valve purposely choose not to share the list of factors that contribute to your Trust Factor ranking. We know for certain that individual ratings take your experience in CS:GO into account, as well as your experience on Steam, in general. Consequently, if you’re brand new to CS:GO, but have proven to be a positive member of the Steam community in the past, your Trust Factor rating will still be relatively high. If you’ve created a brand new Steam account and bought CS:GO to go with it, your Trust Factor score should be the lowest it can possibly be. While this might sound frustrating for brand new players, this is the best way Valve can take some kind of action against hackers and smurfs (smurfing is the act of a high ranked player creating a new account to beat new players). However, if your account is five years old and you’ve played several games on that account, you will be placed into a different category to someone who's brand new to Steam. This is because your Trust Factor score is higher thanks to your time spent playing other games legitimately on Steam. The third case scenario is if you have an old account that has been VAC (Valve Anti-Cheat, used in all Valve games) banned in a different game and you’ve gone into CS:GO as a reformed player. As a result of your VAC ban in an unrelated game, this will impact your Trust Factor score. Valve has chosen not to disclose exactly what players can do to improve their Trust Factor score other than, “Be a positive member of the CS:GO and Steam community”. While we are unable to tell you how to improve your Trust Factor score, we know exactly what you can do to avoid making your score worse. All you have to do is avoid being reported by your teammates for toxic behaviour, hacking or smurfing. Avoid doing those three things, and in time your Trust Factor score should improve. Having a Prime account should add an additional layer of legitimacy and protection for you as a player. Again, in theory, the Prime account system is supposed to prevent verified players encountering new accounts (owned by potential smurfs) and those who have received a VAC ban (even if it was not in CS:GO). Prime Matchmaking is something that Prime account holders can activate in Competitive lobbies where they select their map choices, before searching for a ranked match. If you’ve already verified your Steam account for Prime, simply tick the box at the bottom of the lobby labelled ‘Prime Matches Only’. Before you can activate Prime on your Steam account for CS:GO’s Prime Matchmaking, there are two things you need do first. If you are a relatively new player, ensure you have reached Lieutenant Rank 21. If you’re struggling to do so and want to speed up the process of reaching this rank, check out our Best Ways To Get More XP And Level Up Fast guide. In addition to reaching Rank 21, you’ll also need to add your phone number to your Steam account in order to verify your account. Bear in mind that you can only tie your phone number to one account, so if you have multiple Steam accounts for whatever reason, ensure that you pick your main one. Upon reaching Rank 21 you’ll receive a notification when you launch CS:GO, offering you the chance to sign up for Prime Account Matchmaking. Simply click on the notification to start the process. While there are a lot of technical factors to take into consideration when trying to rank up, the easiest way is simply through improving your CS:GO skills. 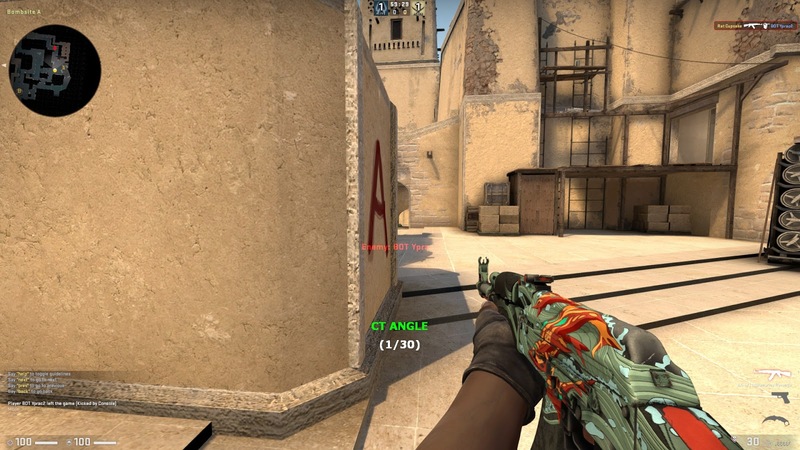 Spending substantial amounts of time in Aim Training maps, learning how to use grenades like Smokes, Flashbangs and Molotovs effectively, and familiarising yourself with each of the maps in the Competitive pool will make you a better CS:GO player. By training often you’ll notice your progress in Competitive matches will eventually translate into more round wins and more overall game wins. Practice hard enough and you’ll have a greater impact in your games, which will gradually lead to ranking up. If you’d like more guidance on how to hone your skills, check out our Best Training Maps guide. Ranking up doesn’t have to feel like a chore in CS:GO and you should remember that the reason you’re playing CS:GO in the first place is to have fun. Grouping up with friends will make ranking up a more enjoyable experience as you’ll be playing with people that you can trust, and who you can train and practice strategies with in advance. 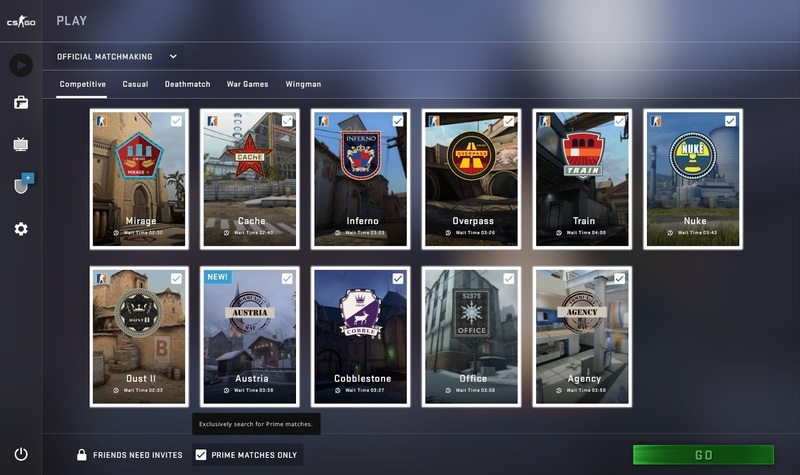 If your friends don’t play CS:GO, consider utilising the Nearby Lobbies section in-game to find other players around your skill level, or if you just played with a team that seemed friendly, you can locate them in the Recent Teammates section to invite them for another match. In addition, you can send a friend invitation on Steam to group up with others in the future. If you’re dead set on solo-queuing for Competitive matches, ranking up is definitely still achievable, although you’ll have to work extra hard. Solo-queueing largely puts you at the mercy of the rest of your team, meaning that even if you have good map knowledge, train often and want to cooperate, the rest of your team may have different aspirations. In these situations, strive to be the best player by remaining positive, communicating well and reporting players that actively try to ruin matches by cheating or griefing. For more information, check out our How To Improve At CS:GO guide.